One of the more satisfying and rich teen breakouts this year has been emily m. danforth’s The Miseducation of Cameron Post, a sprawling coming-of-age novel about the struggles of a gay preteen/teen growing up in the disapproving and conservative/religious atmosphere of early-’90s Montana. 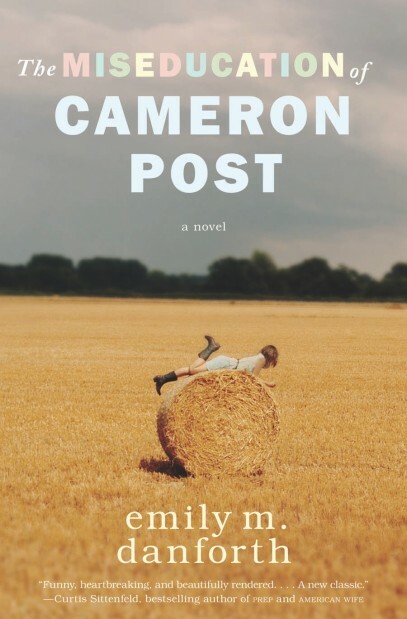 It’s one of the strongest debuts that I can recall, and it stars one of the most well-drawn characters I can remember in teen literature, Cameron Post. I recently talked to emily m. danforth about her inspirations, her book, and her subject matter. First of all, I’m curious about the lowercase spelling of your name—when did that start? In high school, I think, certainly by college. It’s not, I’m afraid, a political statement or even an e. e. cummings, tribute: I just prefer the look of my name when it’s printed in lowercase. I love the lowercase e next to the m (em) there’s something visually delicious about those curves paired together, and it doesn’t happen in the same way with Emily. That’s all I’ve got on the subject! It’s not a sticking point for me. Frequently folks print it traditionally, with “correct” capitalization, and I’m okay with that. Lowercase is just my preference and I take it gladly when I can. Well, we’ll go with the preferred usage here! So, I guess the obvious first question about The Miseducation of Cameron Post involves its autobiographical nature. You were born and raised in Miles City, Montana, which is such a strong, well-developed setting in the novel that it feels like a memoir. And having just read your Huffington Post essay “Growing Up Gay in the 1990s”, I know that you struggled with many of the same things that Cameron struggles with in the book. My question is: Is Cameron you? Cameron is decidedly not me. She’s a fictional character. She’s not even really a fictionalized version of me—it’s much more specific a process than that. A better way to think of her is as a character built from pieces of my experience growing up gay in Eastern Montana in the early 1990s. However, Jamie (her good—male—friend in the novel) is also a character built from some of my own experiences, and so is Lindsey (her activist in-training friend from Seattle), and so are many other characters in the book, actually. What Cam and I have most in common is that we were girls who liked girls at a time and in a place where that was not sanctioned or even talked about. (And we’re both swimmers. And we both “fell in crush” a lot—though Cam is braver about all of that than I was.) Many of the novel’s details of time and place I did mine from my own memories and then re-color, re-shape. I mean, how could I not use the hospital that sat abandoned (and lurking) during my most formative teenage years as one of the novel’s settings? It was just too ripe to skip over. Given that, it’s not surprising to me that the setting felt “memoir-specific” to you because yes, those details of time and place are the details most specific to my own experiences. What was the gestation of this book like? Was it a form of catharsis? I suppose any long form act of writing offers a kind of catharsis if you can manage to complete it, but I don’t feel like I was actively working through too many pent-up emotions or residual adolescent angst while writing this book. In fact, I think I had to get some healthy distance and perspective on my own teenage years before I was ready to tackle the material in this book. It was a matter of dealing with some of that and then writing about it—not processing it while writing about it. When I started writing fiction in college, and then even during the first year of my MFA program, I would rarely write about Montana, and certainly not about my experiences there—however fictionalized. But I always knew that I’d eventually write a coming of age novel. I love them. Books like To Kill a Mockingbird and White Oleander (and dozens and dozens of others) are what made me want to be a novelist in the first place. Rather than thinking of it as a process of catharsis, though, or an act of catharsis, I think of this novel—parts of it, anyway—as a kind of bittersweet love letter to both my adolescence, in general, and more specifically to my hometown as it was (or as it was experienced by this teenager) in the 1990s. Cameron’s voice feels universal. Her story doesn’t feel marginalized or extreme or even unusual. This doesn’t seem to me to be a “lesbian” story as much as an elemental one that speaks beyond its specifics. Was that important to you while writing, to reach for as broad an audience as possible? I would get absolutely zero writing done if I attempted to do any of it with an audience peering over my shoulder. The only audience I’m writing for—for the first couple of drafts, really—is me. I write the fiction I want to read. That sounds a bit vain, for some reason, as I look at those words here on my screen, but it’s absolutely the case. Certainly I’m open to feedback and criticism and suggestion, critique, a bit later on in the process, but nothing about the choices I made in shaping Cam’s voice or the novel’s situation(s) was dictated by me hoping to eventually reach as broad an audience as possible. I just never thought like that. Despite the specificity of Cam’s situation—a recent orphan who is just discovering her attraction to girls while being raised by an evangelical aunt in eastern Montana (in the 1990s)—a lot of her experiences are pretty universal to adolescence (or adolescents, if you prefer): first crushes, first loves, first sexual experiences, rebelliousness, ennui, premature nostalgia. I mean, this is the stuff of one’s teen years, right? Some of Cam’s experiences are given more significant weight and importance in the novel because of the cultural, political, and religious climates operating in her small world (and because everything is colored anew for her since her parents’ death), but those experiences do ultimately have universal qualities. I also think Cam’s “universal appeal” might come from her near-obsession with sorting through her life, searching for small connections, puzzling things out, asking questions, making sense. It can be appealing to read from the POV of someone so curious about the world. She’s built of contradictions—overly romantic sometimes, world-weary others—but she’s ultimately, I think, generous and compassionate; she wants to find the good, the redeemable, in those around her, and when she does she recognizes it, even if that recognition doesn’t always last for very long or ultimately hold much sway. To me, the antagonist of the book is religious conservatism, whether in the form of Aunt Ruth and her well-intentioned but backward convictions or in the form of the “gay-fixing” God’s Promise camp. It seems like it would have been easy to get heavy-handed with this material, particularly in light of what the current Republican party represents, but you’ve presented it in such an even-handed, even heartbreaking way. Everyone close to Cameron wants to help her, they all love her, but all their faith-based impulses are wrong. This is a kid whose sexuality is “just who she is” (not a choice or a kind of rebellion) and yet her loved ones want to turn her into something she’s not—out of love! In that respect, it’s a very sad story. Which, to me, defines the state of America during Cameron’s struggles and even today: a sad era in which regressive religious conviction still holds sway over our cultural/psychological evolution. Anyway, I wanted to express my admiration for the way you handled all that so delicately and seemingly effortlessly. Thoughts? The Miseducation of Cameron Post is categorized as a 14-and-up (or Teen) novel, and yet, after reading it, I admit that I wondered about that categorization. Maybe I’m just a cautious (though liberal) dad raising young daughters, but this coming-of-age story involves frank gay and straight sexuality, drug cultivation and use, and pervasive spicy language. At the same time, it does strike me as a believable and accurate snapshot of what average teens are experiencing or at least hearing about. I guess I’m conflicted. 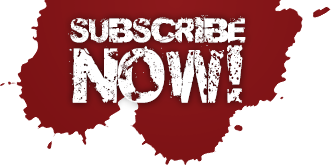 Did you aim for a young market, or was that a publisher decision? Maybe this is a bigger question about the distinction between Teen and Adult fiction. I’ll address some of this as I answer your question (below) about the publishing process, but the other piece I’ll add here is this: Since the style in which I wrote this novel was, essentially, one of representational realism, I was much more concerned with, as you put it, “believability and accuracy” (of characters, scenes, and moments)—wanting my readers to fall through the page and into the world of the novel—than I was with worrying too much about the relative comfort levels of potential readers (or their parents) in relation to the novel’s content. That sounds a bit more glib than maybe it should, but there were many moments (and fears and longings) from adolescence (my own and others) that I wanted to explore as fully and authentically as possible on the page, and I just couldn’t do that if I was also trying to censor or “leave out” those experiences because I worried about potential reactions to that material. The book is pretty frank but not—I don’t think, anyway—in an exploitative way. I never “inserted” a scene of drug use or sexuality to be provocative or “risky” or really to do anything other than I want any scene in the novel to do, which is to honestly portray this character’s experiences with as much nuance and depth as possible. Can you talk a little bit about the publishing process for Cameron Post? What was the process like for you, from first draft to query to agent to publication, as a first-time novelist? During that car ride, Jessica mentioned that Tim had told her a little about the book and then she asked me to, essentially, pitch it to her. I know that, for a lot of fiction writers, this might seem like a dream scenario, but I was exhausted and therefore hopped-up on caffeine and we were nearly out of gas in the blazing Nebraska sun and I was panicking a little about that—this was not my dream scenario. I remember saying things like, “Well, it’s about this girl who, you know, she’s an orphan and she likes girls and she has this dollhouse and she gets sent to conversion therapy and Jane Fonda is there, but not the real Jane Fonda, and …” Really. It was awful. I mean, what novelist wants to summarize her novel? My standard definition for a novel is that the good ones don’t allow themselves to be very effectively summarized. And since I hadn’t even written a query letter (or anything of that nature), I didn’t have the rhetoric down, the approach. Anyway, Timothy’s word must have meant much more to Jessica than did my inane blathering, because she told me to send her the first chapter (once I got back from my wedding, of course). So I did, and she liked it lots. But the issue was that I still wasn’t actually finished writing—or so I thought—so Jessica waited for a couple of months and then finally just asked me to send her the material that I was happy with. So I sent her what I then saw as parts 1 and 2 (which was still nearly 500 pages), and soon after we had a couple of discussions about how she actually felt that the novel was complete as is; that what I saw as just the resolution to part 2 could be finessed into being the actual resolution to the whole of the novel. So this was, you know, both completely thrilling and also took some getting used to. I’d had a particular conception of the arc of the novel for so long that ending Cam’s story any earlier felt rather impossible. But I thought about it, made a few revisions, and ultimately respected Jessica’s opinion, which was, basically, that we give it a go, and if editors passed because they felt like there was no real ending, or that the current ending didn’t work, we’d revisit the pages I wasn’t yet satisfied with. The fact is, the book was already very long, and if I’d been completely committed to my original plan for following Cam after she leaves God’s Promise, I’d probably have had to lose several of my favorite scenes from earlier in her life, in Miles City. Almost unquestionably that would have happened. Otherwise the version of the book I had in mind likely would have been 800 pages. Really. It just wouldn’t have happened. So then we sent to several first-round places and we got several really nice passes (for various reasons) and even more suggestions that we “try it as YA.” This happened again and again—really, several editors said that they loved the book but that they couldn’t “get away with it” as adult and that we should send it to “so and so at their YA division.” This reaction was a surprise to me—at least the first few times (not so much by the fifth). This was mostly due to the fact that I just didn’t know enough about the diversity and depth of YA publishing at that time, and also because I’d read so many coming-of-age novels that were marketed as literary adult fiction and I felt like mine could potentially fit in there somewhere. However, ultimately what I wanted was for my book to find an audience, and I was equally excited to think of this book being marketed to and read by teens—especially when I thought of 15- or 16-year-old me and what this novel would have meant to her. I want to thank emily m. danforth for this illuminating interview and the wonderful read that is The Miseducation of Cameron Post. The book comes highly recommended.